It is specially designed according to the state catalog models. 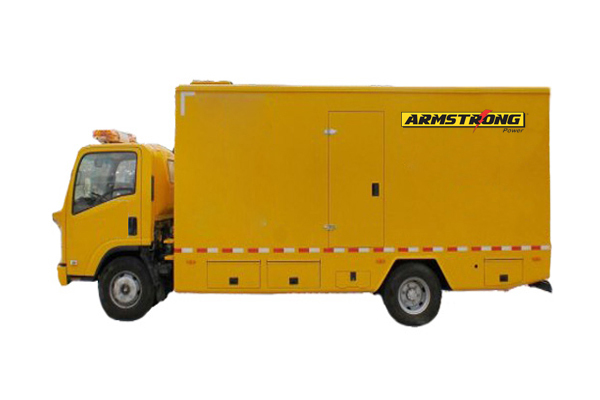 Easy transport and quick action make it more convenient for users to get remote emergency power supply. 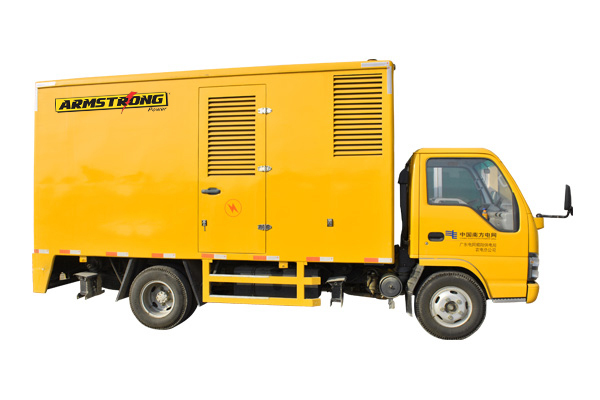 Shock-absorption and heat-insulation devices are adopted between the generating sets and the chassis. 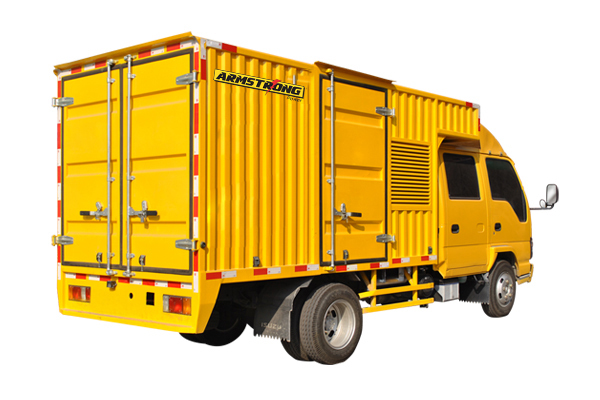 Double-layer decoration is adopted for the compartment and doors of the mobile power station, with sound absorbing plates to effectively reduce noises. Insulation cotton is applied for exhaust pipe, and it can reduce the noise below 68dB (A). Ventilating window in front and two wide folio gates in rear and operators can enter or exit through doors on both sides. Cable bearers and winches can be added according to the requirements of the user. Four mechanical or hydraulic support devices can be added to the chassis. 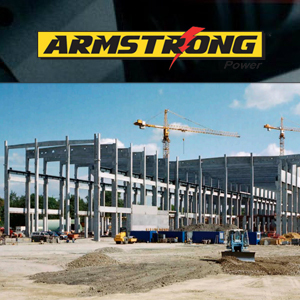 It applies to industries of electrical power, communications, oil field, port and mines, etc. And it also as the emergency power in case of sudden power failure or for large important meetings.